I mainly use this build for both gaming and streaming. I do love gaming and i rather build an itx over owning a console. This pc will last me for years to come. The only issue i am currently dealing with is the post boot time. The moment i turn on my pc, it takes 20 seconds till i see the asus logo for the actual boot. So total boot time is 35-43 seconds. Idk how to fix this issue. I doubt its the ram because i looked at corsair and this ram is optimize for both intel and amd. So compatibility issues for that is eliminated. Cheaper and best bang for the buck when it comes to price - performance. I went AMD over intel due to pricing. I got some of my parts of this build from Walmart since i have a discount with them so i save even more money from them. It is great to overclock to 4.150 (compared to another build i saw) with 1.35v So its been great to have so far. Got this for $280 total on Walmart after taxes and discount. Plus, i have sold the included wraith prism for 120mm aio for $50. So, it is like i got the cpu for $230. Best mini itx motherboard you can have for ryzen cpus. But my only major downside (maybe it's just something i can fix myself) is the boot time. I have nvme boot drive and it should have booted my pc within seconds. Sadly, i have to wait 20 seconds on black screen till i see the asus logo. Again, maybe it's something in the bios i can adjust to resolve this issue or maybe i should reinstall windows 10 UEFI (i did normal install i think?). But it is great to have for bother 2600x or 2700x ryzen chips and may look forward to Ryzen 3000 series. Great corsair proiduct and i chose this over the cl16 hynix version. I rather have samsung b-die because amd ryzen benefits from faster memory. I use the bios setting to get 14-14-14-?? (i forgot) with DOCP standard oc. Great rgb lightning and great performance so far. Maybe this is the right ram for this cpu and motherboard? Price is too high tbh. 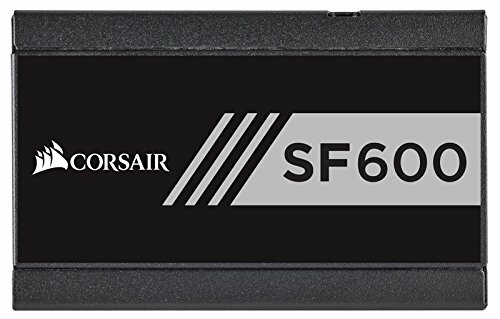 But i replaced the psu with corsair sf600 because i wanted QUALITY. I might just sell off the stock psu because im happy with my sfx power supply. And it gives me more room inside the case and you can see how i managed that. See details of that on the psu side. Since i switched power supplies, i am currently not using the included qi charging since i already have a fast wireless charger. It is still there, but not connected. Replaced the stock rgb strips with the corsair lightning node pro set because it's corsair and i like addressable rgb strips over stock led. Great case over imo. And with the noctua fans, that gives proper cooling and it is silent. Great performance overall. Yes, i paid a bit too much for the case and not using stock parts, i am fine with that. I might just sell the psu and qi charger separately on ebay. I honestly don't like the stiffness of these stock cables but i might replace them with custom length and sleeved cables from cablemod in the future. For now, i got the 600w psu to supply power to 2700x and rtx 2080 both overclocked. And it's silent compared to the stock psu the case came with. And another note, how i specifically set up this psu, there is a gap above it to hide the psu cables. I did this so it's hidden and not too noticeable since i could not use the inwin psu cover. The psu fan is pointing down, so nothing is blocking airflow. Nothing else to say. Best fans over all! Using 4 fans in this case. 1 for the aio and set to turbo fan curve from asus bios, while the other 3 fans (including 2 under gpu) set to silent fan curve. Barely makes any sound (unless you have very sensitive ear drum and can pick up low sound) and it's best for cooling. I don't use any low noise adapters because it is pwm and i let the motherboard do the work. I don't like to cap the rpm just because at 2000 rpm you can hear sound. Plus, i wouldn't go 2000 rpm unless you really have to. 1 fan is using push config on aio. The rear fan is intake from behind the case that blows air to the gpu side. This fan also has a mesh fan filter so thick dust particles don't get in the case. And the 2 intake fans from bottom blows fresh cool air to the gpu and case. wanted to do a build like this last year but none of the really good itx cases had come out that are out now, also there was a lack of decent itx am4 motherboards that were affordable, i got the x370f rog strix atx board for 50euro cheaper than the equivelant itx version, good build, and great job with the psu cables as they look nice and clean now! Thank you. I got this Mobo for $180 ish. I was going to do Matx build but I have sff psu. So I rather keep it mini itx. The boot thing is odd. Normally I'd suggest checking out the boot device order, and maybe still do that, but you normally see the logo before the boot device probing. Maybe ask Asus tech support if you haven't already. Anyway this looks like a beast, lots of speed and blinkenlights aplenty. :-) I do love the A12x25's, the tech in those fans really works. Thank you. I thought about the ll120 rgb but I wanted to get silent fans that perform better and just get the rgb frame later. Ok I will look into it then. Thanks for the tip. I haven’t experience any slow downs. It’s been fine for me so far. Very nice build! I have the exact same cooling setup, 2700x with an H60(2018) with a NF-A12x25 on the radiator. The 2700x is pushing the limits of what a 120mm AIO can cool, but the Noctua fan really impressed when paired with the H60. Yes indeed. The fan is a must have for 120mm aio. I didn’t want the stock cooler because I wanted something a bit better. Legacy usb and training? Hmmmm that could work. Hi MisterCloudz. Why did you choose this case? Your build is what I need but I can't understand why this particular case. Any good reason? There is fx that cheap case Cougar QBX. You can install a 240mm AIO with one 120 fan on it. :) What do you think about it? That is true but I like to see my components and the rgb aesthetics. I had the cougar case awhile back but I didn’t really like it. To me, it felt boring and if I was going to have a nice build, I like to display it. So the inwin a1 was for me. I didn’t like the Raijintek ophion evo because the cable management bugged me. Is that another corsair light strip around the bottom? 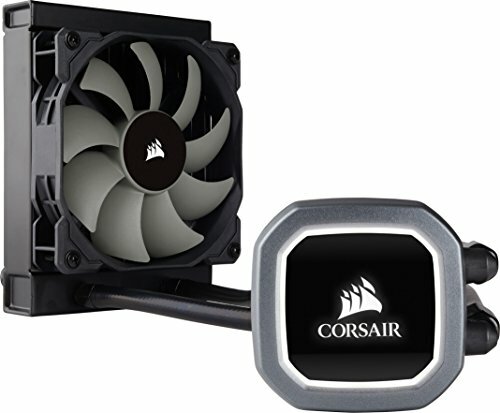 Did you have to use the corsair atx to sfx psu adapter bracket as this case takes atx psus? yes to both. I have 2 rgb strips in the case and 2 on the bottom. As for the psu, it’s tequired for sfx psu to use atx bracket/adapter to mount the power supply. Build looks great! I'm planning a similar build in this case and also plan to replace the PSU. I've heard bad things about the noise and would prefer to go modular as I'll be skipping any SATA items (M.2 storage only). The fewer cables in the case, the better! From your experience, do you think it would be possible to retain the PSU shroud by using a custom 3D printed piece for that screw to grab? Is it just the one screw holding the shroud to the stock PSU? I couldn’t use the stock shroud because my psu doesn’t have that screw spot to hold it. Maybe a custom 3D piece can do. And I only use 2 Sata power for both aio and rgb strips. Do you have any examples of thermal performance under load? Is there no way to turn the sf600 any other way to get rid of that hideous cables popping up look? No. This is the only way the psu can be mounted. Maybe a custom 3D print can resolve that. What exactly would need to be 3D printed? A new mount for the PSU to fix the orientation or you meant something else? I thought you meant reversing the psu so cables come out towards the back from the back. I didn’t know it would fit but I saw another build that it does. I had the same concerns. But it turns out it will fit no problem. does the mobo have 2 m.2 slots ? sick build bro lets go baby! I read your review comment of this case and had a question about the bottom acrylic panel. I do not have an RGB header on my itx board (I didn't know you needed one and goofed when buying), but I still want a way to change the colors on the bottom strip when I want to. Should I swap out the strips for corsair ones like you did? And how hard was that process? I also bought a 3 pack of the Corsair LL120 RGB fans. Is there any way to sync the bottom panel to them somehow with the included "node pro"? 1) 3 pack Corsair rgb fans usually come with lighting node pro and the rgb controller for those fans. 2) process of removing stock rgb strips from the base is difficult since it stuck there. And on top of that, Corsair strips have to stick inside the inner layer of the base for the strips to stay in place. "Replaced the stock rgb strips with the corsair lightning node pro set because it's corsair and i like addressable rgb strips over stock led." Dude, love what you did to the base. If I could add anything to my comment, it would be the GIF of the Rock clapping at a boxing match because, you sir, deserve applause.